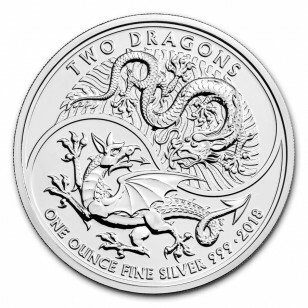 The 2018 Silver Two Dragons Bullion coin contains one ounce of .999 fine Silver and measures an impressive 38.61 mm in diameter. 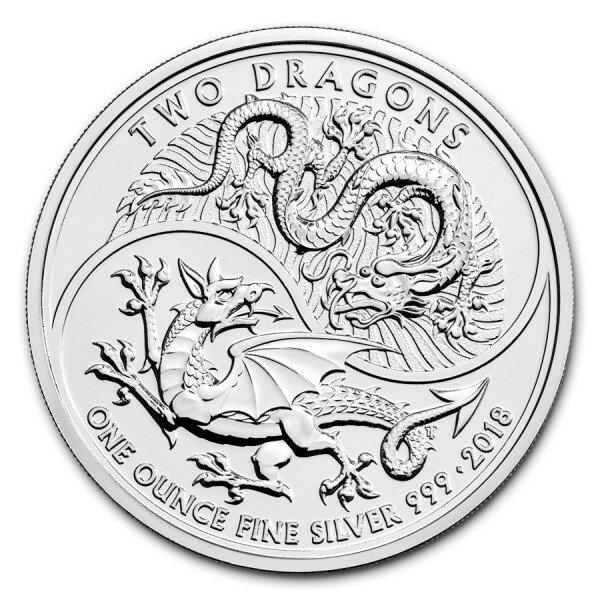 This beautiful coin from The Royal Mint features two dragons, the chinese dragon and a british dragon, which represents the synergy found between the British and Chinese cultures. Brilliant Uncirculated. 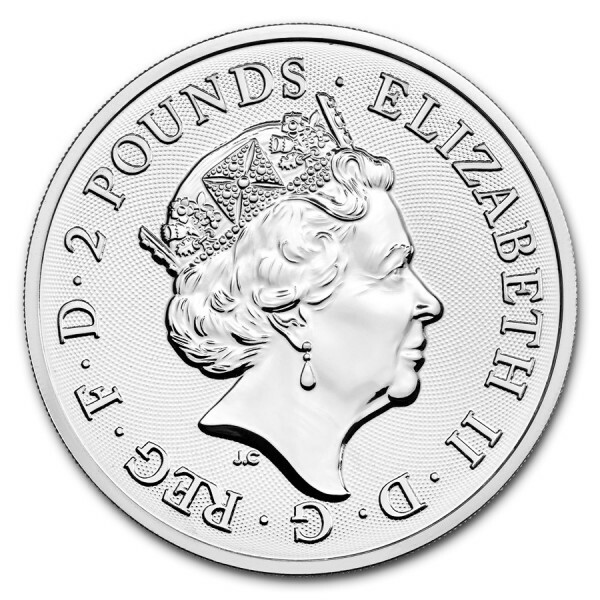 Her Majesty Queen Elizabeth II is classically displayed on the obverse along with the monetary denomination.. There is only 50,000 of this coins world wide. Buy yours today, before it's too late!